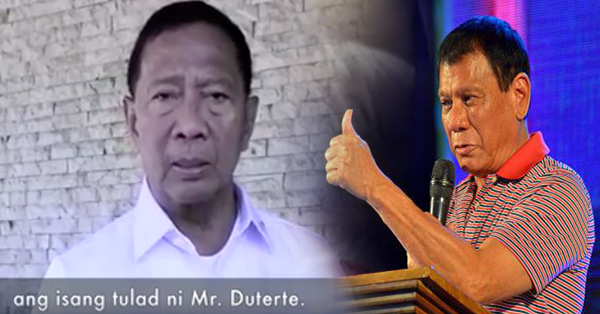 VIRAL: VP Binay's Powerful Statement Against Mayor Rodrigo Duterte? We are now at the peak of the campaign for the upcoming Presidential elections on May 9, 2016. As a given, all candidates are gradually laying down their cards in order to grab the most coveted presidential position. A video of Vice President Jejomar Binay has been viral online for hours now. He has a very disparaging and persuading statement against another presidential bet, Davao City Mayor Rodrigo Duterte. On the video, Binay is urging the voting public not to elect Duterte because of his boastful claims that he will kill all alleged criminals. The VP also mentioned that Duterte is the leader of the Davao Death Squad. He also stated that if ever "Digong" will be taking the highest government position, it will be worse than a martial law. Pakyu ka BINAY ! BOBO ka kung wala lg mn gagawin LALAKI ang ulo ng mga DRUG pusher . bakit ikaw ? kung na PRESIDENTE ka ? ano gagawin mo ? PAPALAKIHIN ang PRODUKTO ng DRUGA sa PILIPINAS wag kang tanga dahil sarili mo lang iniisip mo ! Marami po ang nasisira ang buhay dahil sa droga at marami pong walang tiwala sa kapwa tao dahil sa dami ng kriminal dito sa atin sa Pilipinas.